This is the official site of the Capricornia Budgerigar Society Inc. Here you will find information including dates, places, and times of local and out of town shows and events. We also will post items of interest and events of other societies if requested. If you have a bird related item for sale or would like to submit a photo or article for discussion please e-mail Russell. Thanks for visiting and keep breeding top birds! The Capricornia Budgerigar Society came into existence following a meeting of 12 fanciers on 24 June, 1968. 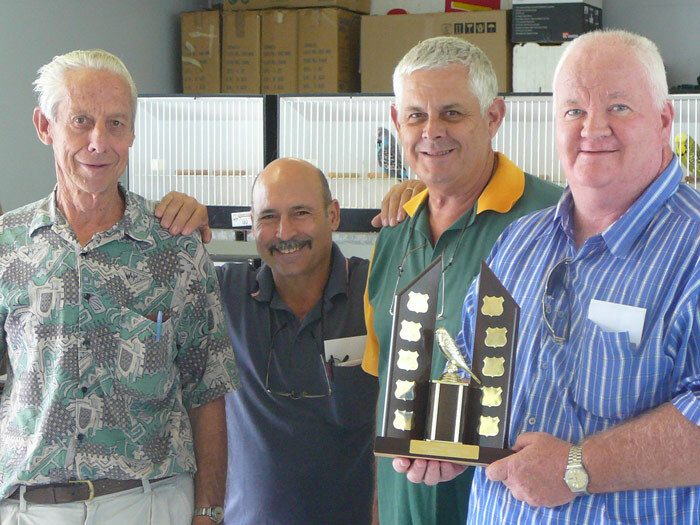 As an incorporated association it continues to serve the needs of Budgerigar Breeders and Exhibitors in the Central Queensland region. The CBS Inc was a founding member of the North Queensland Zone, now operating as the Queensland North and Central Zone. This incorporates the Budgerigar Clubs from south of Gladstone to Cape York. Every year the Australian Championship Show is contested by every State (Queensland has 2 Zones). This show is conducted under the control of the Australian National Budgerigar Council and brings the best birds from each State into direct competition. The CBS Inc. is an enthusiastic participant in this annual Show and has hosted the event in 1989 and 2010. Members have achieved recognition and success at this Show. Locally the CBS Inc conducts 3 major shows each year, as well as arranging a variety of smaller shows at meetings or members’ homes. An Auction is held annually and provides an opportunity to procure quality stock from breeders from all over Australia. The focus of the CBS Inc is to assist each member get the maximum enjoyment and success from this rewarding hobby. The Capricornia Budgerigar Society is an incorporated non-profitable specialist organisation based in Rockhampton, catering for the needs of budgerigar breeders and exhibitors in the Central Queensland region. This Society was founded in 1968 and held their 25th anniversary dinner at the Rockhampton Rugby League Club in March 1993. Being a member body of the Queensland North and Central zone ensures participation in the Australian Championship show and in 1989 this prestigious show was hosted by our Society for the zone. The Wide Bay Challenge is another show at which we exhibit against the cities of Gympie, Maryborough and Bundaberg. Our Society conducts Bird of the Year, Breeders, Young Bird and Annual shows each year. Thank you to Mr Michael Vagg for supplying the above information.